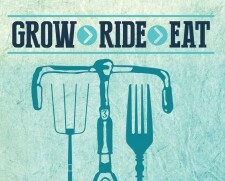 Join us by bicycle for this traveling dinner to support The Growing Project ! ~7:15 p.m. 3rd Stop: The Growing Project at Hope Farms. Food provided by The Tramp About. Live Music & Bonfire! 9:00 p.m. Event ends at Hope Farms. Beer pairings from Odell and Horse & Dragon. Vegetarian and Gluten Free items will be available. Dinner takes place rain or shine and is 21+ only. This dinner is just one event happening during Fort Collins Farm Weekend!! Learn more about the weekend at www.fortifiedcollaborations.com/farmweekend.